It's (un)scientifically proven that starting the day with a boozy doughnut leads to happiness, higher productivity, and long-lasting apathy toward vegetables. So, the collaboration between Fonseca Port and the breakfast demigods at New York's The Doughnut Project is pretty much a replacement for going to the gym. Even though almost none of that is true, these doughnuts look delicious. 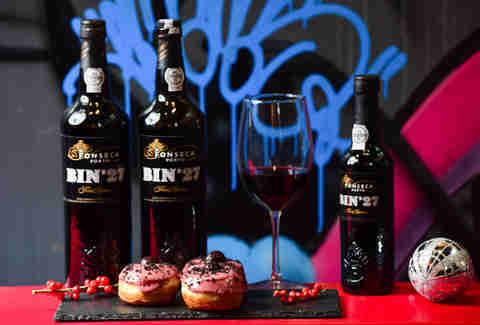 The limited run of Fonseca Bin 27 Port Doughnuts will be available at The Doughnut Project's Manhattan storefront December 15 through December 17. They're made with a Fonseca Bin 27 Port compote, topped with a sweet port glaze, and sprinkled with chocolate dust. 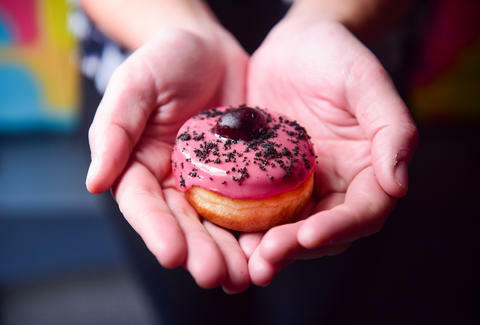 The Doughnut Project has danced with booze-themed doughnuts a number of times, from Prosecco doughnuts to a month-long cocktail series.